Patrick and Mark Ahn are hooked on spice. This podcast is also missing (for me at least). I'll be checking back soon! Thanks! Glad you guys gave the movie a chance rather than simply picking it apart (which admittedly would have been easy since it's such a mess). I love this movie but I sort of learned to love movies through David Lynch. 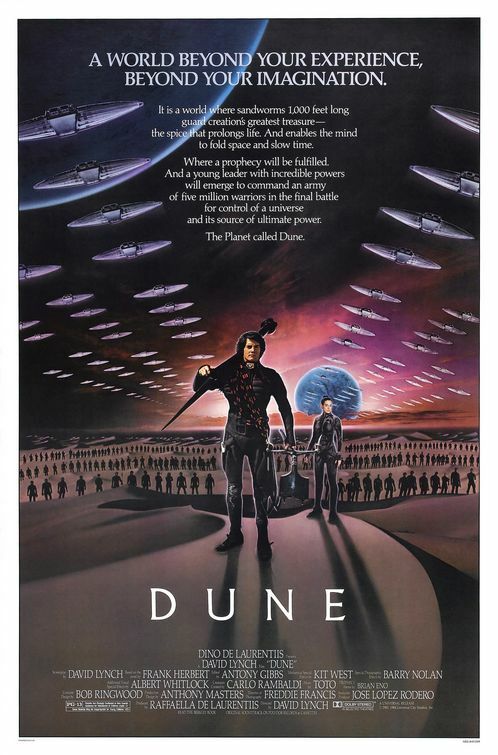 Quick boring anecdote: my girlfriend loved the book and I had seen the movie several times without reading it, so I showed it to her to see what she thought and she hated it. Three years later and we're still together and I'm still showing her weird movies. It's only a matter of time before she realizes it's not worth it. My biggest question: Is there a modern-day equivalent to Sting trying to act in the '80s? 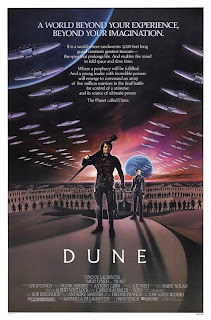 I haven't seen Dune (YET) but saw The Bride awhile back and was hoping you guys would touch on his performance more, simply due to my own twisted fascination with his acting crossover.